If it wasn’t for the all-new 2018 Subaru Crosstrek being hotter than Hades, Subaru would have had a downturn in sales like Toyota sales falling 5 percent and the rest of the auto industry has a dismal April. Subaru of America (SOA) reports they bucked the trend and sales were up +1.5 percent to 53,170 units during April. It was the newly-redesigned 2018 Crosstrek leading the way again for SOA up 66.6 percent, its best April ever with 12,266 units. All other vehicles in the Subaru stable were down for the month with Outback (-2.7%), Forester (-7.3%), Impreza (-27.4%), WRX/STI (-12.4%), Legacy (-3.8%), and BRZ (-7.2%) all down for the month. Crosstrek lifted Subaru to its best April in the history of the company and 77 consecutive months of yearly month-over-month growth. 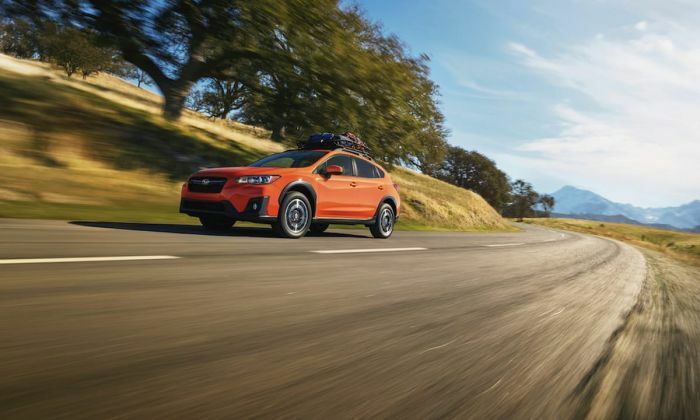 “Our customer’s interest in the Crosstrek continues to increase every month,” said Jeff Walters, Senior Vice President of Sales. Subaru of America just sold their 9 millionth vehicle, and it was fittingly a 2018 Crosstrek 50th Anniversary Edition model. Subaru will get another needed boost from the all-new 2019 Ascent 3-Row Family hauler when it arrives this summer. “We’re now looking forward to the start of production later this month of the all-new Subaru Ascent at our plant in Indiana,” says Walters. After Ascent, the next new model will be the 2019 Subaru Forester that made its debut at the New York International Auto Show in March. The fifth-generation model should also keep the brand moving forward and help lead Subaru of America to record sales in 2018. Subaru is also launching a new plug-in-hybrid late 2018, likely coming on the Crosstrek platform. For April, the 2018 Subaru Crosstrek is the brand’s shining star achieving its best April ever while all other models were down. If it wasn’t for the newly-redesigned crossover, Subaru would have had a downturn in sales like Toyota and the rest of the auto industry. If anything, the Crosstrek is taking sales away from Outback and Forrester, With the Ascent coming out, I would expect Subaru sales to increase even more!